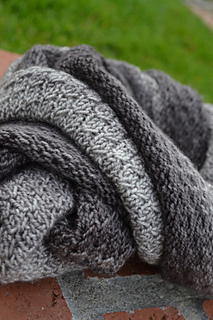 Spectral is worked in an all over textured pattern that perfectly highlights the spectrum of any gradient yarn. You can make it using Miss Babs Yummy Toes yarn using 5 different skeins in gradient colors, working from darkest to lightest and back to darkest again, Black Trillium Gradient kits, or Fiber Optic Yarns Paintbox Gradient Foot Note or Kashmir yarns. 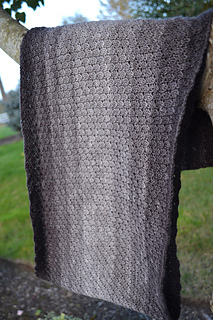 Worked in the round in an easy to memorize stitch pattern, Spectral is a great take along project! The finished measurements lend it to wearing long, tucked inside a coat or wrapped double around your neck for a bit more warmth. You’ll want more than one!